Salespeople and sales leaders alike know that compensation can be a strong motivator, but it usually comes at a high budgetary cost. This leads many to ask what the real impact of compensation might be on overall sales professionals’ satisfaction and performance. This study explores the answer to that question. The study results substantiate that different sales force compensation strategies can greatly impact the performance and quality of sales organizations. Decisions about whether to cap compensation and whether to pay the sales force above market average, at market average, or below market average can have a substantial effect on revenue growth, company excellence, quality of sales leadership, morale, culture, and quota attainment. 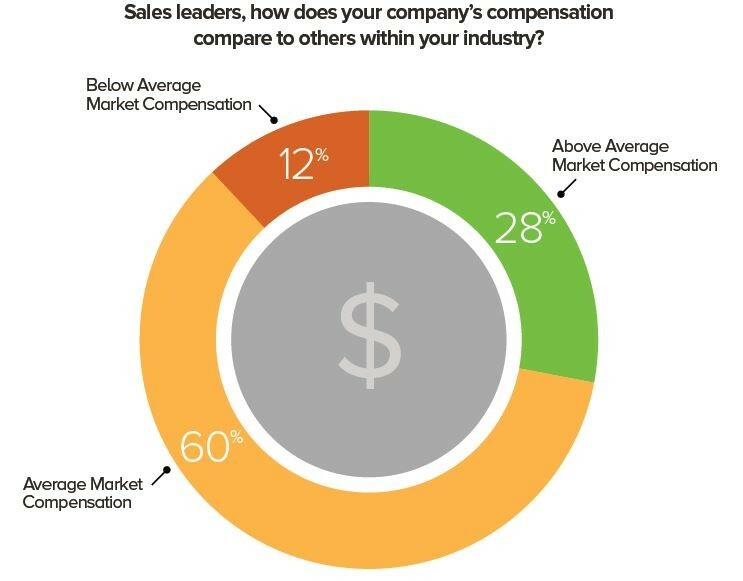 Top-level sales leaders and sales managers were asked to categorize their company’s compensation compared to other companies within their industry. Twenty-eight percent indicated their company’s compensation was higher than market average, 60 percent were at market average, and 12 percent were below average market average. Each category of compensation was then analyzed from a number of different perspectives to determine the impact of compensation on sales organization performance. The industries represented in the survey in order by number of participant responses were financial services, high technology, business services, manufacturing/distribution, education, retail/hospitality, media/entertainment, healthcare, and energy/utilities. Study participants were asked to describe their company’s market position. Twenty-one percent worked for an industry leader with significant market share in their field, 32 percent for a well-known company within their market space, 29 percent for a lesser known company who has to compete against well-known rivals, and 18 percent for a relatively young company trying to establish market presence. 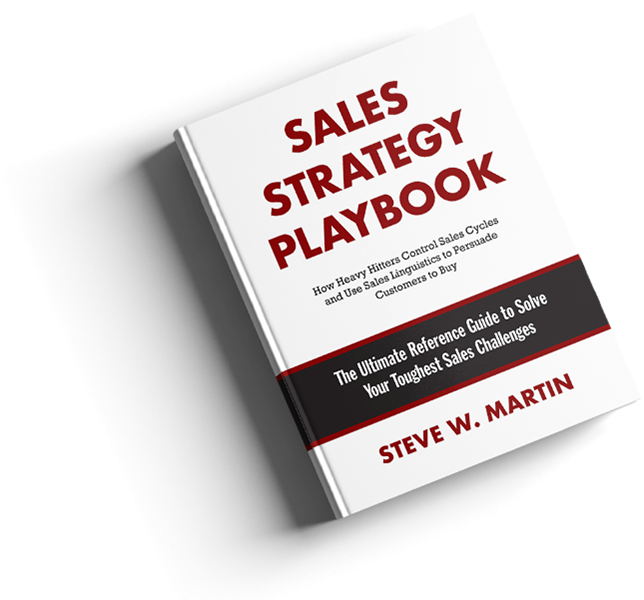 Complete research details can be found in Steve W. Martin’s latest book titled Sales Strategy Playbook. Sales Strategy Playbook is a based on first-of-a-kind sales cycle research and win-loss analysis with thousands of top salespeople, vice presidents of sales, and B2B buyers who ultimately decide which salesperson will win the deal.